Edison Awards-2010, on its third venture, held in a great grandeur. dance troupe dazzled the dais with their admirable performance. voice of Nagara Vettai song. 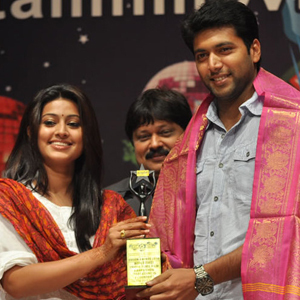 Prasanna and Sneha received the awards for Achamundu Achamundu. event went on splendidly for more than three and a half hours.